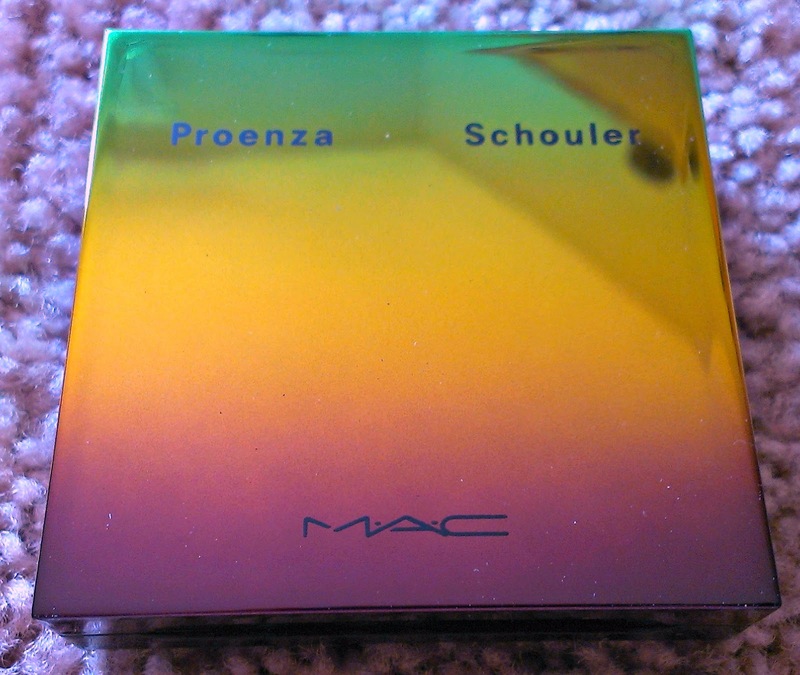 So the other day MAC came out with their Proenza Schouler collection (Proenza Schouler is a New York based womenswear and accessories brand, founded in 2002. The brains behind the brand are designers Jack McCollough and Lazaro Hernandez). 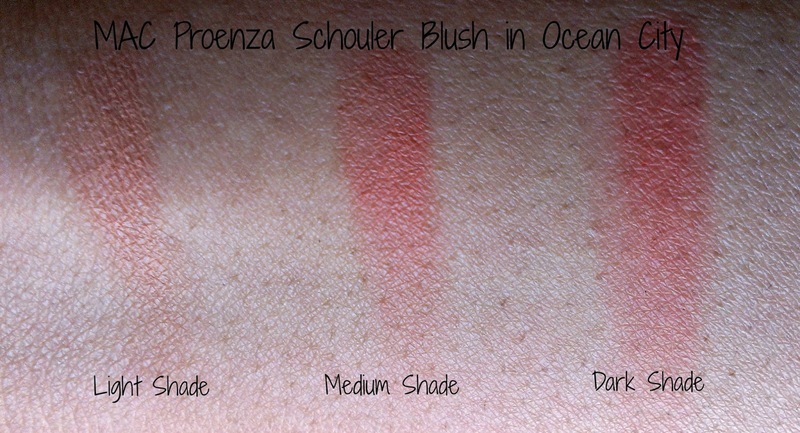 The reason this release excited me was because of the ombre blushes in two lovely colors - one a warm pink, the other a lovely orange-y coral. Naturally.. (grubby little paws, and all that jazz). 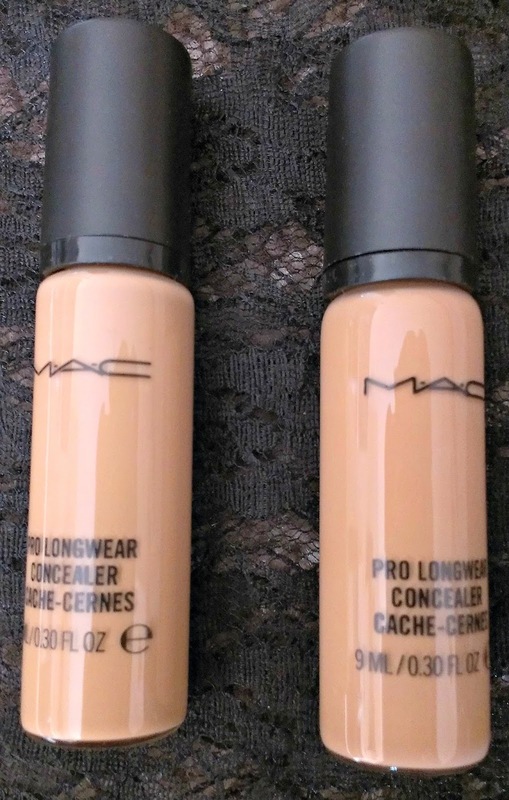 While I was at it, I finally took the plunge and picked up the MAC Face & Body Foundation, the MAC Pro Longwear Concealers, the MAC Strobe Cream [travel size - better value for your monies!] (thanks, Shrutilaya :P) as well. I haven't had a chance to experiment with the yet, but I'm going to post some quick first impressions and swatches. 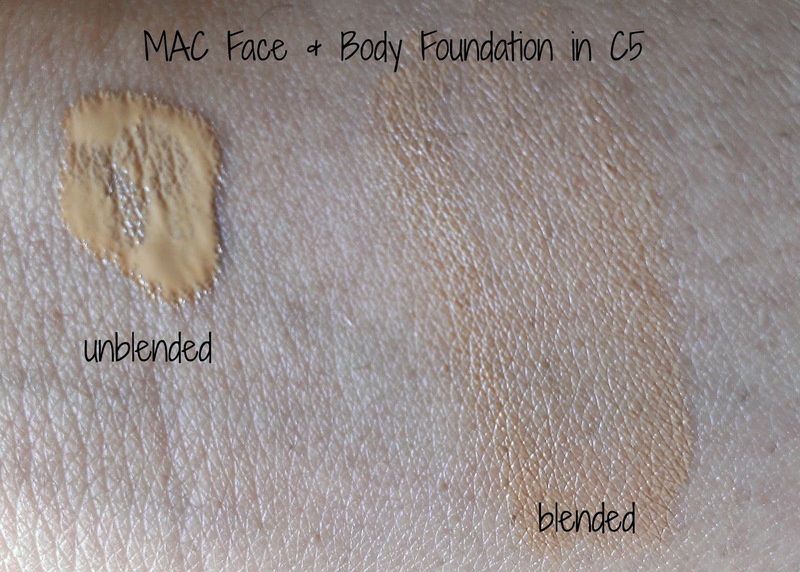 The MAC Face & Body foundation is a very watery, liquidy, runny foundation that's very light, very breathable, and generally a great foundation for those who are just starting to get into foundations (and want something sheer and breathable) and for those who want a light coverage foundation. It's not long lasting at all, but I like how it feels on my face. Thanks to the severe insomnia issues I've been having of late my dark circles are out of control, and after trying out samples of this concealer I've been impressed. It's not super creamy or terribly runny, and it's very spreadable (I mean blendable, but you get what I mean). It has good coverage, and is stays on for quite a while. Definitely can see this becoming a daily essential. 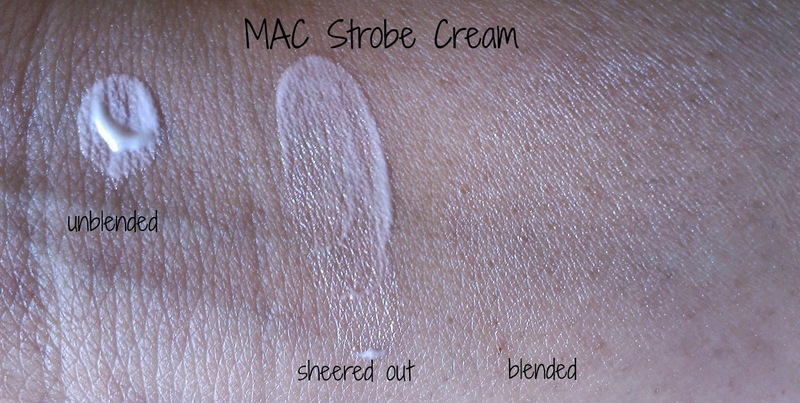 The MAC Strobe Cream was recommended to me by the lovely Shrutilaya (of Colliding Interests). I was quite hesitant about this, because I have oily skin, and wanted something to give me a nice glow without making me look like an oil slick... and hoo boy, does it deliver! 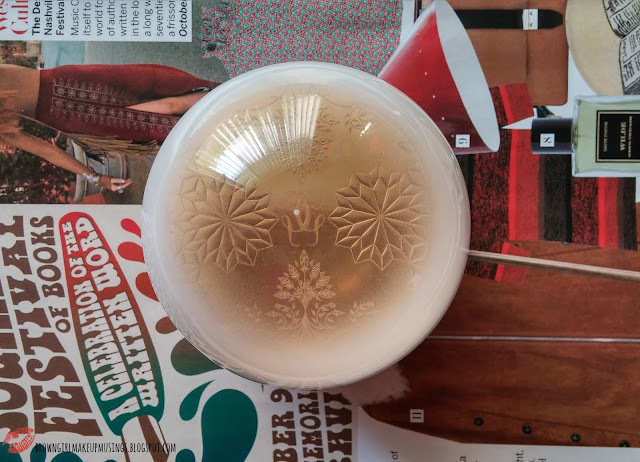 It's got very, very fine shimmer, not the chunky kind, so it blends out to give you.. well, a glow. You can't make out the shimmer, but it does brighten up your face. I've used it once so far, and I like how subtle and pretty it is. A must for summer! Finally, let's move on to the reason for the, uh, goodies. 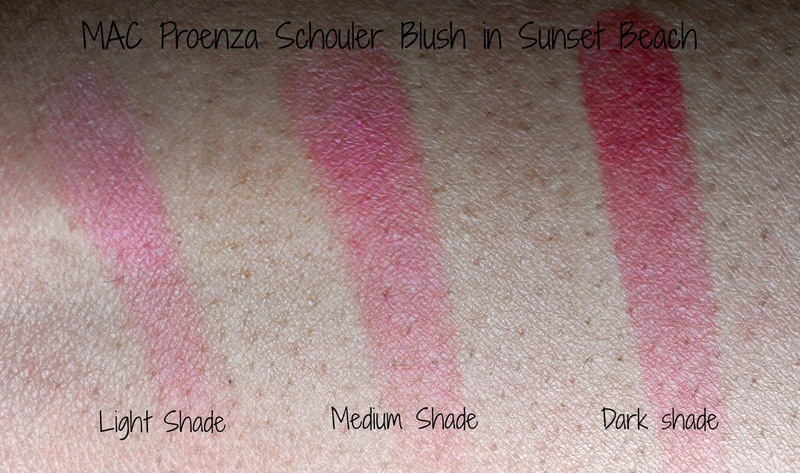 The Proenza Schouler blushes! Now, if I'm being honest, I like the color of the packaging - very tropical, and colorfully chic - but I absolutely loathe the packaging. Why? Because: 1. It's so shiny it attracts fingerprints like it's a damn forensic investigator, and 2. IT. WON'T. OPEN. Seriously. I've had to struggle to open this baby up. There's no niche or groove to help in opening the package, and I chipped a nail while struggling to open it the first time. 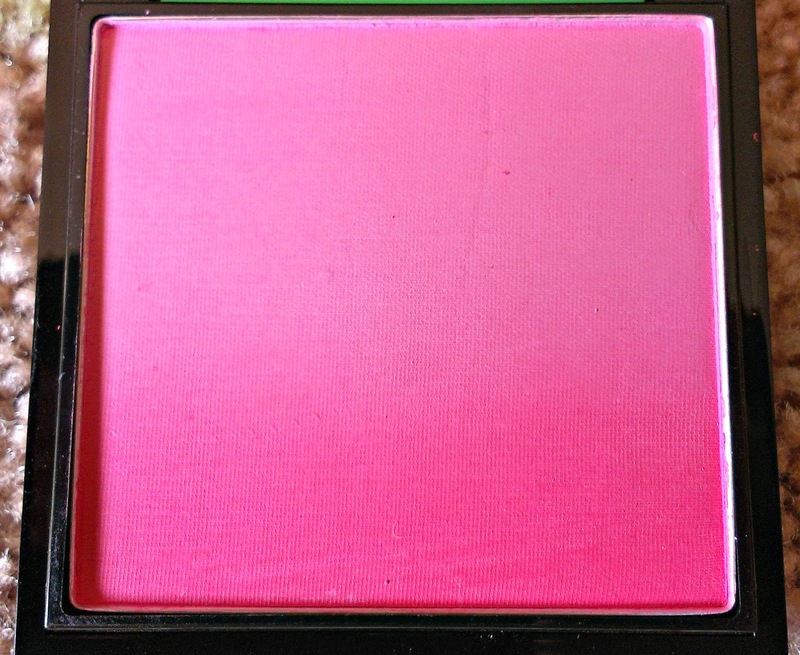 The blushes are an ombre from light to dark, as you can see. Ocean City is a beige-orange, to a light/medium orange, to a orange-y coral. 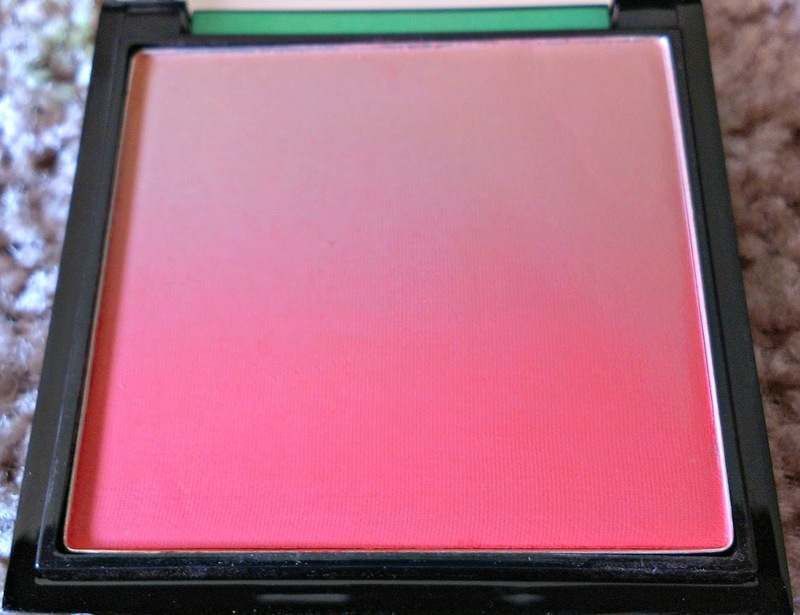 Sunset Beach is a light pink, to a medium warm pink, to a raspberry pink. The blushes are soft, and finely milled. They are quite pigmented, but not so much that it's impossible to blend them out - they can be built up as needed. It's quite easy to use the lighter and darker shades separately, as long as you use a smaller brush (I tried using the ELF Studio Blush Brush and the Small Tapered Brush and both worked well for this purpose). I haven't worn them for a full day so can't comment on how long they last, but I am quite pleased with them and I think I'll definitely get a lot of use from them! I see three of my MAC Must -Have's here. SO EXCITING. Have to try that tip with the Face and Body! I wore it yesterday and today and it seems to come off pretty easily, which was a bummer. I think I may have to cut down on the moisturizers when I use this! 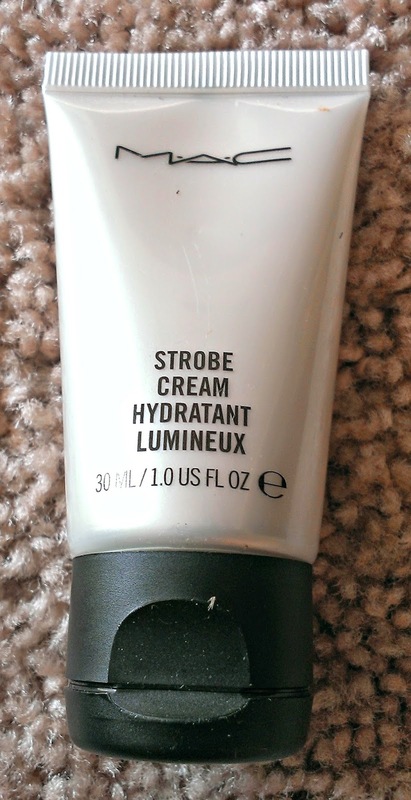 Also, I'm freaking IN LOVE with the Strobe Cream. Dang it, now I need to find more products like this. The Temptalia review on these blushes gave the coral one a A and the other one an F. Apparently loads of people are having difficulties with it. I don't get how a company like MAC can afford to have inconsistent quality. I saw that - I think she may have gotten a bad one, because the one I have, while it isn't as nice as the coral one, isn't so bad that it deserves an F. But agreed, a company like MAC cannot afford to be inconsistent - especially with the prices they charge! That's quite a MAC haul! 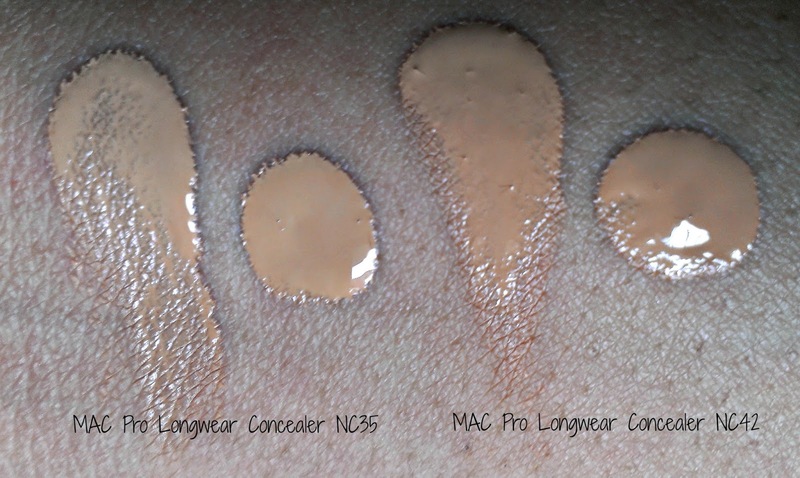 I'm looking forward to hearing your thoughts on the concealer, especially!